The Houston Rockets are ramping up their efforts to land Jimmy Butler, going as far as offering four first-round picks and an undetermined combination of players to the Minnesota Timberwolves. Will Tom Thibodeau bite? Will Wolves owner Glen Taylor get involved? Could the Miami Heat or another surprise team still win the sweepstakes? Hardwood Knocks digs deep into possible trade packages, the aftereffects of a deal, and how this would impact Minnesota, Houston and Butler long term. 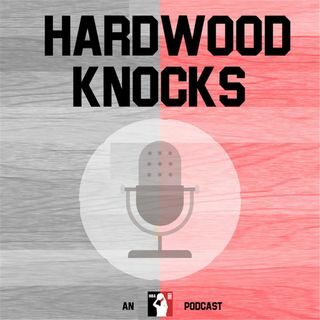 As always, ... Maggiori informazioni please subscribe to and rate Hardwood Knocks on iTunes. You can also find us on basically anywhere podcasts are offered. And as 50 Cent's biopic suggests: Follow Andy Bailey (@AndrewDBailey), Dan Favale (@danfavale), the show (@HardwoodKnocks) and NBA Math (@NBA_Math) on Twitter or die trying.